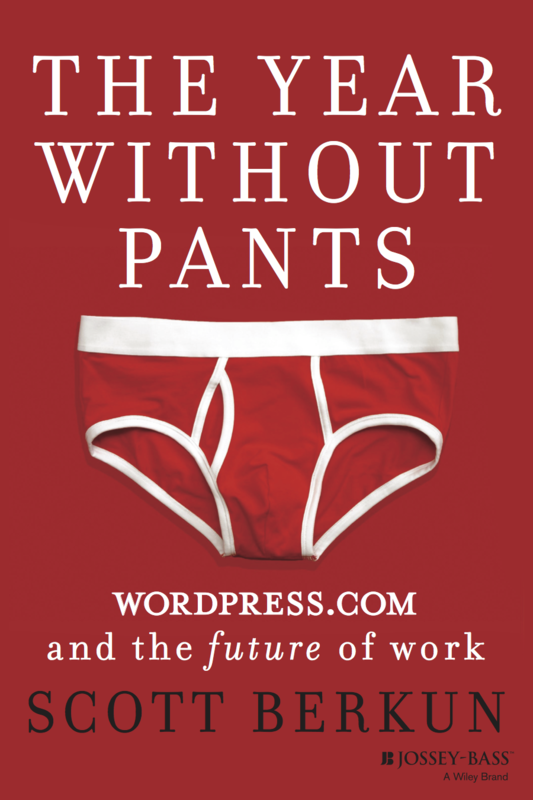 I recently read Scott Berkun’s book, “The Year Without Pants.” It is an informative and entertaining book about his more-than-a-year working for WordPress.com, reporting on what it is like to work in a remote-only environment. He offers insights into the daily life of managing a team across the globe, and compares them to his own insights on leadership and management. The quote from the book that serves as title of this post is taken from a chapter that focuses on decisions. When given a choice, should one wait to fix issues as they come up (responsive), or make updates/changes to improve and lessen the potential for issues (proactive)? Eloquently, Berkun argues that there is no way to truly know which choice to make. 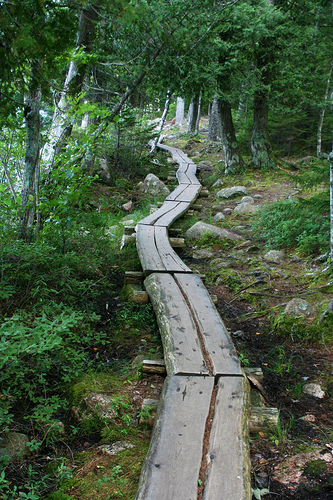 Managers have to take the available information, and pick what they believe is the best path. Unless you have a time machine of course. This is one example of the variety of informative commentary found throughout the book. I have a particular predisposition to enjoy the book since it is about working for WordPress.com (the parent company is called Automattic, founded by Matt Mullenwig). I have been an avid WordPress user for a number of years. I fall in the self-hosted category of WordPress because I purchased my domain and host this WordPress blog through Dreamhost. I go so far to have attended a few WordCamps, and even had the fortune to hear Matt speak at a WordCamp in Toronto a few years back – very cool it was. I want to highlight a couple of other “jump-outs” to me from the book. I could spend a long time on these, but will keep it reasonably short. As with any reading, the items I notice are in tune with what I work on every day. This quote is in reference to what the leaders at Automattic noticed about other companies that struggle to succeed. In K-12 education, the creatives are the teachers and the students. What they create and do together is most important and everything should serve that. It sounds basic on the surface, but when implemented it seems like we tend to put processes, procedures, and rules in place that get in the way. The power of success at Automattic is that the only real performance indicator is when an item is released to the public on WordPress.com. Since there is no workplace, and everyone does their work when and where they want to, the focus is totally on what gets done. This concept is the complete opposite of what goes on in K-12 public schools since by nature everyone shows up in the same place at the same time to work/learn. We are a massive mountain of organized minute-managing. The new world of remote work is on the other side of the spectrum. Online learning is beginning to change education, but when it will take hold, and parents stop putting their kids on the bus, remains to be seen. This is a reference to Mullenwig’s style of engaging in decision making. Data is important to the process, but he only lets the data influence decisions, not drive them. There is a part of decision making that is left to intuition, or gut, when the numbers don’t tell the whole story. This is true about every child in a school. Assessments certainly shed light on what students know, but people have hunches that go far beyond any report available. Self-motivated people thrive when granted independence. Managers who want better performance must provide what their staff needs. The above is obvious, but still hits home as a necessary ongoing reminder. Successful teachers are by nature self-motivated. It is the job of those who support teachers to figure out what they need (asking is an easy way), and make it happen for them. Looking back on what I chose to highlight from the book, it is interesting very little is about the remote-worker concept that it purports to be about. Remote work is the reality now for many, and for many more in the near future. Regardless of where the work happens, there continue to be challenges to success in companies that will always be present. How one deals with the challenges remains the constant. Obviously a big hat tip to @berkun for some thought-provoking reading! Imagine walking into the space above to learn. That is what I had the opportunity to do at Word11 in Toronto this weekend. Word11 was an event for bloggers to get together to learn and share about the purpose and business of blogging. The space is the Center for Social Innovation (CSI) Annex, one of two (soon to be three) properties run by the CSI. 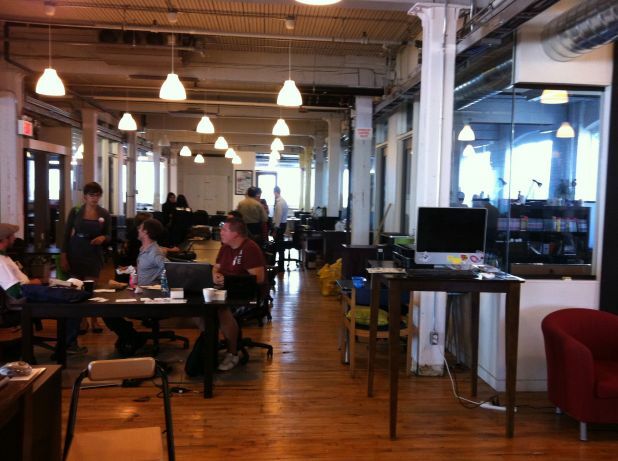 Shared working spaces are popping up all over the world. Check out the article, Collaborate, Create, Co-work, from the August 2011 issue of Go magazine. The article highlights co-working spaces in the U.S. including Sandbox Suites (San Francisco), Coop (Chicago), and WeWork (New York City). Bloggers at Word11 were a collaborative group by nature, and the energy coming from the interactions was awesome . I had the opportunity to speak with a diverse array of people and found all the conversations rewarding. I definitely put myself in the casual blogger category, and the stream “developing the casual blogger” had many great talks. It was great to interact with such talented professionals and entrepreneurs. Now I am not saying that every classroom is like this – that is simply not true. However, by and large, the design of schools built more that 30 years ago (which is most schools) have inherent space issues (aka walls) that inhibit the flexible, dynamic setup seen in co-working environments. I know where I really want to work and learn, and I think our students want (need) such spaces as well. Thank you, Word11, for organizing such a great event in such a great space! As I mentioned in a recent post, with my new position, I have been wondering about the tagline for the blog. The tagline is what appears just under the title of the blog, which is Point A to Point B (see the top of the page). I have decided since my new role expands beyond technology tools to curriculum, I will expand the tagline as well. 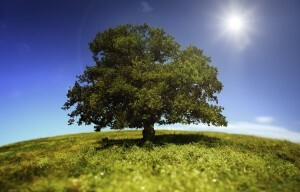 I am really looking forward to how the blog grows in a new direction! I am delighted to report that the work to get my administration certificates has paid off. This past week I was appointed to an administrative position within my district, Williamsville. Effective July 1st, I will be the Instructional Specialist for Fine and Performing Arts, Business Education, and Home and Careers. That is a long and complex sounding way to say I am the curriculum and instruction coordinator for Music, Art, Business, and Home & Careers. As I move into the position, one of the things on my mind is how this blog will work into my new role. I will absolutely keep it going, but I wonder what focus the blog should take on. I started blogging in 2004 after hearing David Thornburg speak at an ISTE conference. Back then “blog” and “wiki” were relatively new terms, and being a technology integrator, it has been a perfect fit for me. I have grown through and enjoyed the writing I do. Technology is transforming learning. All you need is an idea of where you are and where you need to go. The title of the blog, Point A to Point B, and the web address (which I own) I think are appropriate for any educational endeavor. Regardless of the content, everyone is at point a, and is trying to get to point b. Regarding the tag line, technology is certainly transforming learning in every area including the ones I will be responsible for. As a matter of fact it was music technology that was the catalyst for me making the jump to becoming a technology integrator in the first place! Many staff and students I have worked with in recent years are surprised when they learn that music is my background. I do not think one could argue learning is our fundamental purpose. My writing will focus more on the content areas I’m involved with. I will still probably draw out connections to technology, but I am actually really liking the fact that I can focus on technology from a content perspective instead of technology as a separate “thing” (which I admit I can do quite easily…). At the end of the day, it is about the learning (in Music, Art, Business, and Home & Careers, etc.) and not about the technology. I would love your thoughts on what I have outlined here. If you have any comments or suggestions for the tag line, I would appreciate that also. My “point a” is changing, as is my “point b”, and I’m looking forward to the journey! I reflect, therefore I blog. The thought about “to blog or not to blog” hits home with any blogger since we constantly wonder, “is it worth it?” As I read through the original post, comments, and subsequent posts, here are a few things that stood out to me. In my first administration experience as summer school assistant principal, I made a conscious effort to be out and about as much as possible. My daily social media connections definitely went down (not logging into Twitter, Skype, etc). I completely agree that the most important job of an administrator is personal connections. For me, blogging is where I reflect with the purpose of asking other, smarter, people to reflect with me. Reflection is the one thing I saw missing from your list of what your administrator does. Is that a possible reason that tips the scales? Reflection is the bell-ringer for me in blogging. I think reflection in teaching practice is important. Any good teacher or administrator reflects, whether in voice (chatting with a colleague) or in public (a blog). The difference between vocal reflection and written reflection is that writing it down makes a difference. To paraphrase Peter Reynolds, writing turns ideas into action. Writing it down in public makes a bigger difference. Is written public reflection on practice for everyone? Nope. Can it make a difference in the practice of a teacher or administrator? IMHO, yup. I bolded the part that stands out to me most – blogging become more than a way to communicate – it is a way to reflect. The comment about bloggers taking pride in their work, regardless of readership, also rings true. I have always blogged for an audience of one (me), although it is fun when people stop in to read and/or comment. Blogging takes time. My personal goal is to try to do one post per weekend, when the idea comes to me. Note that it happens on the weekend, and that there are the time trade-offs that allow me to find those few (3-4) hours to craft my thoughts. I have found that I do enjoy the writing process. Not everyone does, and not everyone has the time to devote to blogging. Ryan’s principal doesn’t, but he is still a great leader. If his principal does try blogging (and makes the trade-offs to do so), I believe he will find it valuable. I do not believe that anyone who takes the time to do it will find it un-worthwhile. In any case, for me, cogito ergo blog. Thanks for taking the time to read this. Professional development is a key component in helping students learn. When teachers are focused on improving student learning, they need support (i.e. professional development) for themselves to continue to learn. Some of the most inspiring colleagues I have worked with are those who, even after a long career, continue to seek out opportunities to improve their craft. Experienced and successful educators acknowledge that there is always something new to learn, a new technique, or new concept that will help kids. Collaboration, coaching and reflection are not new concepts. What they are, however, are new ways to approach professional development to improve learning in a systematic way. I will use the analogy of my past experience as a band director to draw connections to how teachers have always coached, collaborated and reflected, and compare that to how we can make systemic change. From the beginning of time, musicians would perform a concert, and then go out to celebrate (or commiserate) afterward on the performance. This is true of concert musicians as well as music teachers after a school concert. What typically happens in the “after-hours” celebration is a lively dialogue among teachers involved in the concert and colleagues who attended the concert. Discussion ensues about what went well, what could go better, and steps to take for next time. It is a dynamic, fluid process of collaboration, coaching and reflection that moves teachers forward. Next steps that might happen is that a particular teacher might go to visit a colleague to see how he/she works with their students to solve a similar challenge. A guest clinician might be brought to school to coach teachers on rehearsal techniques. Teachers may get together after school for a few weeks in a row to teach each other about instrument intricacies. These types of experiences are informal, and occur spontaneously after a performance. How can we formalize this process so it benefits every teacher, every day, but does not water-down the effectiveness? The same exact scenario above can be played out by any teacher in any discipline immediately following a major benchmark assessment or other summative assessment, such as a state exam. Math teachers, for example, will have a spirited dialogue about an exam as it is being administered, analyzing the strengths and weaknesses they suspect among their students and how they perceive students will perform. This continues as the results are reported and strategies are investigated to help students succeed. How are more recent professional development models in-line with the collaboration, coaching and reflection needs of staff? With the data team as a fundamental unit now, the model is in place for regular and routine dialogue along these lines. At its core the data team is a formalized way for colleagues to collaborate on how students are performing, and identify strengths and needs for students. During this process they might decide that assistance is needed with a particular instructional strategy or technology so a coach is called upon. In my role as technology facilitator I consider myself the “technology coach” for whomever needs assistance. Throughout the data team process, reflection is built-in as well as teachers think about their students’ performance and their own teaching. School-based Inquiry Teams – comprised of teachers, teacher leaders and administrators – are charged with becoming expert in accessing, understanding and using data to identify a change in instructional practice (e.g. teaching division of fractions) that will accelerate learning for a specific group of underperforming students. Based on what is learned from that experience, teams work with school staff to implement and monitor system-level change to benefit all students. The reflective practice that is used as the basis for the Inquiry Team’s work is intended to support continual, evidence-based improvement of student learning. While each school is to have at least one Inquiry Team, more teams may be put in place should the school find it valuable to do so. Click here to see NYSED document with this definition. To me this refers to the data teams we already have in place. While there are many individual teams and no one overriding data team to analyze system-level change for the whole school, the purpose of our data teams is in line with the definition of the inquiry team above. It appears we are well positioned as components of the RTTT initiatives are rolled out in the coming years. While it is not as relaxed as an after-concert celebration, the more formalized process of collaboration, coaching and reflection built into our data teams and the coming RTTT initiatives put us in an excellent position to help our students excel. On Friday the district held a staff development day where we split up by curriculum area K-12. The focus for the day was on design questions from Robert Marzano’s The Art & Science of Teaching. Facilitators for each curriculum area were formed into what were called design teams, and included content teachers, administrators, and a technology facilitator. I was the technology facilitator for the Health and IDEAS team. In our district, health education at the elementary level is done through the IDEAS program. The IDEAS teachers are gifted and talented certified teachers who provide level one gifted programming services to every student in the school. Elementary students have IDEAS class once every five days from kindergarten through fourth grade. At the middle school level, students have health class for 20 weeks in eighth grade. At the high school level, students can take the required 20 week class during any year. One of the biggest successes is that it was first time all the health teachers K-12 had the opportunity to work together for a full day! Just the fact that they could have professional dialogue with all level colleagues was awesome. They really enjoyed the time to work and share together. One of the biggest challenges health teachers have is that many times the content they teach is about things students should not do (tobacco, alcohol, etc.) and true assessment can be difficult. While a student can have all the knowledge about why smoking is bad and get a good grade on a health test, it is whether or not they choose to smoke when outside of school that is the true reflection of their skills. One form of feedback we discussed is the Search Institute Survey administered every other year by the Town of Amherst in partnership with district schools. It is an anonymous survey given to 8th, 10th and 12th grade students about their supports and behaviors related to the 40 Developmental Assets. Results for the Town of Amherst (not just the Williamsville district) can be found on the Town website. 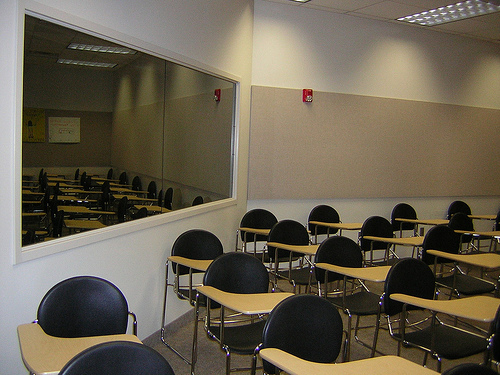 Individual schools have results for their buildings. We spent part of the morning defining and refining learning goals and had work time for each level (elementary, middle and high) to have dialogue on topics of their choosing. We also allowed time for working with technology tools of their choice. All of the documents we shared went through district Google Docs accounts in a shared folder. We used Prezi for the main presentation points during the day (see presentation embedded above), and also show examples from Xtranormal and Animoto. These themes are found throughout every unit, at every level. Whether it is an elementary student thinking about food choices, or a high school student thinking about relationships, these themes are essential to those conversations. Part of the afternoon was spent focusing on providing effective feedback. As many health teachers are also coaches, we used the coaching analogy to talk about how effective feedback in the classroom should be like effective feedback on the playing field. I have to say for me this was one of the most stressful days to prepare for personally since I was not that familiar with the health curriculum or the teachers involved. That being said, it is not the role of any one person to be the expert at everything. This day was about collegial dialogue, where everyone has something to contribute. The other facilitators I worked with were awesome. We had many meetings where we discussed and planned how the day should go. Once the staff development day got rolling and we were working together, it was great. Overall I think it went very well. Feedback indicated that participants were happy, and they provided ideas on how we will structure the next day we are together, which is scheduled to be at the end of August. I feel much more comfortable about the next time we are together now that we have some momentum! I’ll finish with a great Animoto video created by Tricia DeSantis (Assistant Principal at East HS) on learning goals – note the awesome soundtrack! New York is a winner of the Race to the Top funding initiative sponsored by the federal government. There is a whole host of passionate conversation about what RTTT means for education. I’m going to skip that part of the dialogue for now and focus on what has been going on in New York, and specifically on what has already happened at the state level and the implications for the very near future. For the past 2 years during the state’s involvement in applying for and winning a RTTT grant, the Board of Regents has actively been implementing parts of what it calls the Regents Reform Agenda (RRA) (sorry for the multiple acronyms – it’s easier to type). The RRA is essentially the plan in place to carry out the items specified in the RTTT application. One of the components of the RTTT application is an updated performance review process for teachers and administrators. New York had to change its application, which was rejected in the first round, to reflect a more concrete process in which to demonstrate an updated review process. In May of 2010 new law was passed by the legislature – section 103 of the laws of 2010 specifically addresses teacher and principal performance review. The new section of the education law, 3012-c, can be found here. Q. Is there a separate standard for a teacher’s use of technology? A. The ability of educators to use a variety of technological tools, techniques, and skills to inform and enhance teaching, learning, and other aspects of professional performance is crucial to their effectiveness in today’s learning environment. Since technology is such a prevalent factor in today’s world and is included in so many aspects of teaching and student learning, a decision was made to infuse technology throughout all of the Standards rather than to isolate it in a single Standard. Therefore, references to the use of technological resources, knowledge, and skills are found throughout the Teaching Standards ( e.g. Elements I.6; II.6; III.4; III.5; etc. ). Technology, or technologies, is referenced 11 times within the standards – below are the specific references. Take a look and see what you think. Please note that I am only showing any mention of technology. Some of the items items are elements within standards, and some are performance indicators within elements. Teachers demonstrate knowledge and understanding of technological and information literacy and how they affect student learning. Teachers use technological tools and a variety of communication strategies to engage each student. Teachers incorporate a knowledge and understanding of technology in their lessons to enhance student learning. Teachers explore and use a variety of instructional approaches, resources, and technologies to meet diverse learning needs, engage students, and promote achievement. Teachers incorporate instructional approaches and technologies to provide students with opportunities to demonstrate mastery of learning outcomes. Teachers engage students in the development of multidisciplinary skills, such as communication, collaboration, critical thinking, and use of technology. Students utilize technologies and resources to solve real world problems. Teachers organize and utilize available resources (e.g., physical space, time, people, technology) to create a safe and productive learning environment. Teachers ensure that all students have equitable access to available resources and technologies. Teachers use multiple measures and multiple formats, including available technology, to assess and document student performance. Teachers advocate, model, and manage safe, legal, and ethical use of information and technology, including respect for intellectual property and the appropriate documentation of sources. I like the fact that technology is not a separate standard, as it needs to be used as a tool. I like the fact that ethical use is specifically mentioned. I like the statement, “students utilize technologies and resources to solve real-world problems.” As a matter of fact, I think every statement included in the standards related to technology is excellent. I wonder how this is going to play out. Since the annual professional performance review (APPR) is a locally-negotiated item, how will these standards come into play when the review document is created? According to the state, there are a number of pilots underway right now to test various types of rubrics to support the standards. As with any measure of professional performance, the meat and value of the review will come with the details of how the measurement is done. The new New York State Teaching Standards represents a top-down model for improving teaching and learning, motivated by the Race to the Top initiative. We are going to spend a lot of time transforming current systems to this new model – I hope it’s worth the time and effort.